Toro Rosso have unveiled the team's 2019 challenger, to be driven by Daniil Kvyat and Alexander Albon during the 2019 Formula 1 season. The pair make up an intriguing line-up for the Red Bull junior team, having both been dropped from Red Bull's programme in the past. 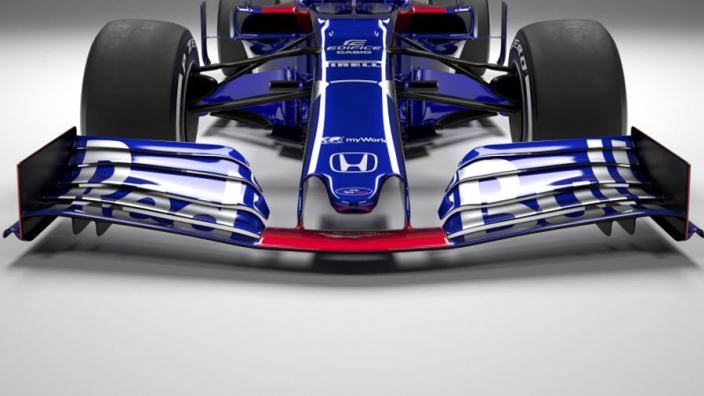 The team has retained a familiar blue livery for 2019 with blue fairings on the wings and bodywork. Kvyat is in last-chance saloon as he embarks on a third stint at Toro Rosso. His first ended when he was promoted to Red Bull in 2015 to replace Sebastian Vettel, but he returned just over a year later after struggling to impress. The Russian departed Toro Rosso before the end of the 2017 season after failing to recover his form and spent last year working with Ferrari as a simulator driver. We'll get a glimpse of the 2019 @ToroRosso shortly. Albon cancelled a long-term deal with Nissan e.dams in Formula E in order to switch to F1. The Thai-British driver contended with champion George Russell for the Formula 2 title this year, with Lando Norris also involved in a title fight that has seen all three competitors move up to F1.